The Australian manufacturing sector posted a very slim growth of 0.7 points to 50.1 in November, showing resilience in the face of challenging conditions, according to the Australian Industry Group Australian Performance of Manufacturing Index (Australian PMI). Textiles, clothing and furniture expanded 7.3 points in November. Two of the five activity sub-indexes were above 50 points (readings above 50 indicate expansion), with new orders up 3.1 points to 54.3 and supplier deliveries climbing 7.2 points to 52.1. In contrast, the production, stocks and exports sub-indexes all declined below 50 points following very mild expansion in October, while manufacturing employment and sales continued to contract. 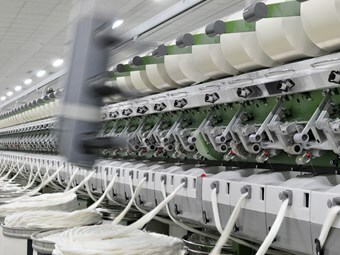 Four of the eight manufacturing sub-sectors expanded: food, beverages and tobacco (up 2.4 points to 59.1); wood and paper products (up 2.1 points to 61.6); textiles, clothing and furniture (up 7.3 points to 54.4); and non-metallic mineral products (up 5.0 points to 50.2). On the contraction side were machinery and equipment (up 0.8 points to 44.6); petroleum, coal, chemicals and rubber products (up 1.2 points to 39.9); and printing and recorded media (up 5.0 points to 42.8). Metal products were down 1.8 points to 43.2. "While the improvement in manufacturing activity in November is slight, it and the lift in new orders are welcome signs of the resilience of the sector in the face of still-testing conditions," Ai Group chief executive Innes Willox says. "The lower dollar, an easing in energy costs, moderate wages growth and relatively low interest rates are all helping to underpin the sector’s performance," he adds. "Demand for locally made inputs and components flowing from stronger residential construction activity is also a positive for the sector. "That said, respondents to the Australian PMI noted substantial headwinds with the steep decline in mining investment and the impending closure of Australian automotive assembly stifling business sentiment and the appetite for investment. Businesses also noted that the still-strong Australian dollar continues to support intense import competition."